Prior to when I read this book I was one of those that criticized Toke for writing a “must tell” book. While reading reviews and opinions online, I had already formed a negative opinion about the book and Toke’s intention. From what I had read online, the book contained shocking details. Anyway I kept telling myself, Babe just calm down and read the book first; thank God I did. I read the book in two (2) days, I could have finished it much earlier, but yours truly had other things to do. It was difficult putting the book down, the memoir makes for an interesting read. When you start, you just want to finish. Now let me go straight to my thoughts about “On Becoming”. First and foremost I must commend Toke on writing a book like this. It takes courage and audacity to bear your life for strangers to read. The things she revealed in “On Becoming” are so shocking that it must have taken a lot of courage and strength to put down. You know we all see Toke as a strong woman, so telling the whole world about your struggles and your low points; takes Courage. She revealed things that we would ordinarily want secret. For that I commend her. Reading about the loss of her parents almost made me cry, it was very touching. It was a lot for an eight (8) year old to go through. To think the fire incident that claimed her parents could have being avoided. It was so annoying to me that the fire was caused by two (2) adults who were keeping malice. Imagine because of beef, a whole family was almost wiped out. I would like to think that if she didn’t lose her parents, she may not have experienced some of the challenges she went through. Toke was blessed to have had someone who assumed responsibility for she and her siblings immediately. Reading everything that she went through with her ex-husband, I just couldn’t help feeling Toke had a low self-esteem. I had once struggled with low self-esteem, it was terrible. I never believed in myself, and I was with the wrong men for the wrong reasons. So I could identify with Toke’s low self-esteem when she was with her ex-husband but not the extent of it. I know we are all different, but from the moment someone I say I love is cheating, that’s the end of the relationship. Even during the times in my life when I was naïve and had low self-esteem, I couldn’t stand a man who isn’t committed. So I couldn’t understand why Toke Clung to Maje despite his constant cheating and lying. Though one thing I know is that ladies with no father or absentee fathers always look for their father in the men they love; and more often than not, they end up with the wrong guy. They’re ready to do anything to please the guy, they put up with anything these men do, simply because they need a father desperately. A father’s love for his daughter provides a foundation for her emotional stability. That’s why neglect from a father is a cruel thing. Ladies with daddy issues should as a matter of importance, have a grounded relationship with God. Having a relationship with God is important to build a healthy self-esteem and to realize that no one except God should define your life, and no one can give you joy except the one true God. My beliefs may sometimes sound extreme, but I’m a strong believer in that, people shouldn’t date until they’re ready to get married. Why do I say this? Because dating with no purpose in mind, gives an enabling environment to make lifelong mistakes. I have always said it that bad marriages always have signs, what I mean is before a marriage ends, there were signs during courtship that if both partners go ahead and marry, the marriage would be disastrous. I was telling my cousin this, and she was like, me I’m just talking theory; that you wouldn’t be able to tell if the marriage would be a disaster. The truth is marriage magnifies whatever was happening during courtship. If someone slaps you while you guys were dating, he would beat you up in marriage. If someone shows you who they really are, don’t make excuses for them, take their word for it, that is who they are. That being said, Toke should never have married her ex-husband, the signs were showing in all their glory. He cheated severally, lied like an expert, fathered a child, come on. How do you expect to marry someone like that and expect him to change? This is one lie a lot of ladies belief, you’re not the Holy Spirit and you cannot change a man. Please, ladies, don’t marry a guy that out rightly disrespect you, cheat on you. No man is a prize; the relationship is not a competition. The truth is sometimes we ladies validate cheating that’s why the guy will continue cheating. If he knows that whatever he does, you’ll be there, then the guy would continue. 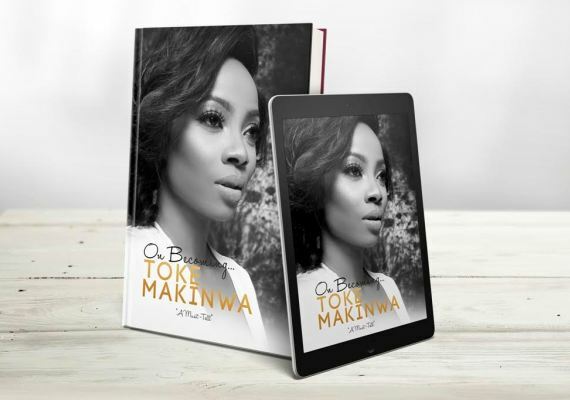 As a true child of God, God would not let you enter into a wrong marriage, God showed Toke all the signs, imagine Maje’s mum praying for her, that she would find her own husband, his sister telling her not to marry him until she hears from God directly. Dear ladies please prayerfully commit any guy into God’s hands asking Him to reveal the intent of His heart. When everybody close and dear to you are warning you about a particular person, look well, God is telling you something. You’re blinded by love so you may not see what they’re seeing. They will be more objective in their judgment. It’s important for ladies/women to be financially independent. Imagine if Toke didn’t have the money she has, how would she move on, it was easy for her to move out, get a place, because she had money. I can’t imagine the countless number of women stuck in terrible marriages because they have no earning power. Don’t ever blame anybody for your actions or mistakes; I don’t care the amount of pressure. Take responsibility for every one of your actions, taking responsibility is a sign of maturity. You are who you are and where you are because of the decisions you made, make and the actions you take. If you have the case of a low self-esteem, find God; discover your purpose before getting into a relationship. Knowing your purpose is a sure way of knowing who to marry. No man/woman is the center of your life. Until you get to the point where you are alone not lonely don’t get into a relationship.To know more about Alone or Lonely, CLICK HERE. After reading “On Becoming”, my respect and love for Toke have grown. I loved the fact that she accepted her faults, and instead of hiding, she’s using her story to inspire others. If you are in a terrible marriage and your sanity is being threatened, or you are abused, please leave now, Life is too short to spend it unhappy and unfulfilled. Society will tell you to stay, to fight, to pray, you will be stigmatized for leaving, you will be called weak, but first and foremost your life is to please God, and not fulfill the expectations of others. Lastly, don’t live life in regrets, the past is gone, learn from your mistakes and move on. For every time you fall, it teaches you how to walk properly so you don’t fall again. I would like to share excerpts of the book I loved so much, she wrote some profound things that I believe you will learn from. Have you read “On Becoming”? if you have, kindly let us know what you think about it? I love to hear from you as always, please leave a comment. I haven't read it but your review on the book makes me want to read it.